These are interactive mosaics. Each cell in these mosaics can tell you a small story. In the most simple case if you click on the mosaic it just displays the row and column of the cell and the name of the used image. In more advanced artworks you may see much more information. There can be thumbnail previews, large original images can be expanded in full screen, there could be internet links for connected sites and so on. 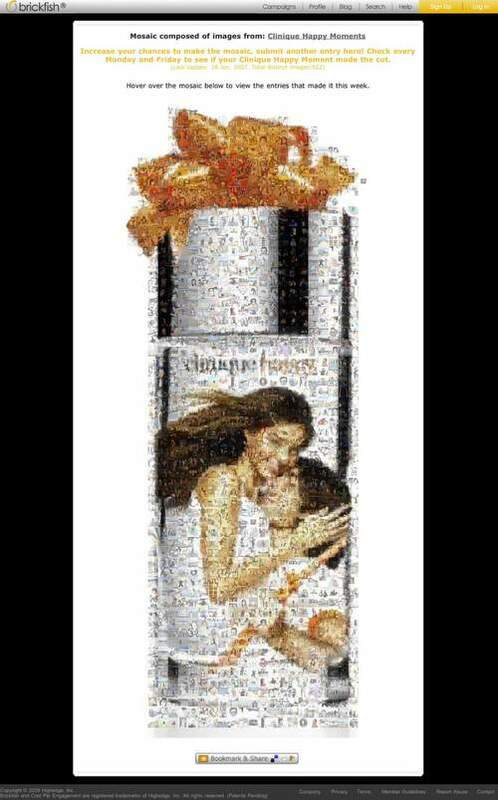 Also, these mosaics allow you to search through images by text or keywords. Each example opens in a separate window. 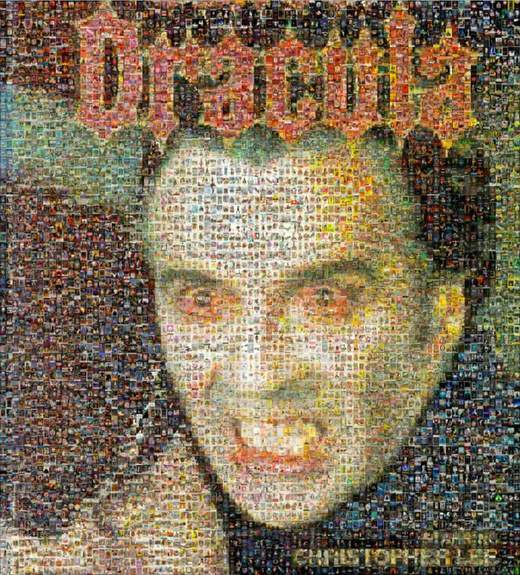 Tribute to the very worst album covers is an interactive Mazaika photo mosaic — 79 columns and 78 rows — assembled from 6,180 unique music album cover photos submitted by members of the Facebook public group «Tribute To The Very Worst Album Covers». Look at never seen before Lennon's album; nice LP from Smoking Tex Williams; girls trio very popular in the group; and their all-time favorite Svetlana's album! See online interactive photo mosaic with search functions and links to original Facebook posts. 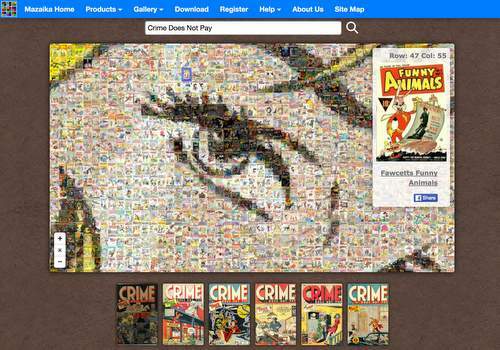 Girl with Hair Ribbon by Roy Lichtenstein: online interactive photo mosaic assembled from thousands of comic and pulp fiction book covers. 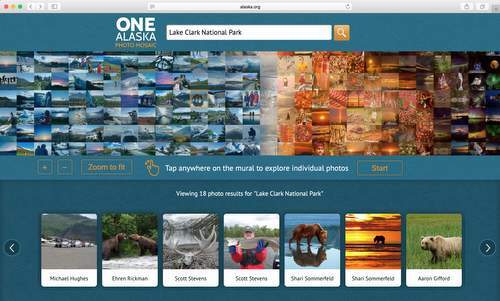 This online photo mosaic has a search function. 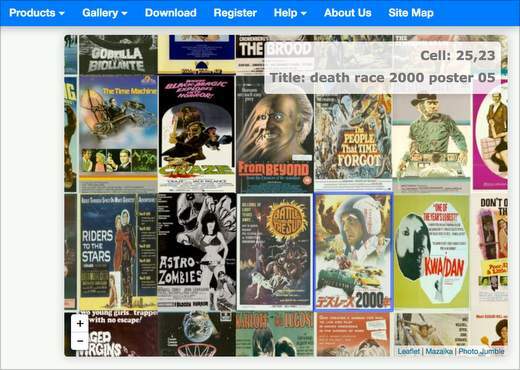 Enter a book title or part of it in the search text field above the mosaic and you get a scrollable band with found book thumbnails. 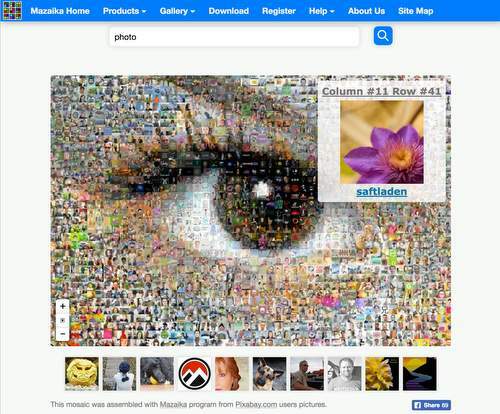 This mosaic was assembled with Mazaika program from Pixabay.com users pictures. Read how this mosaic was made. It will help you to learn how to make a big mosaic with unique tiles. 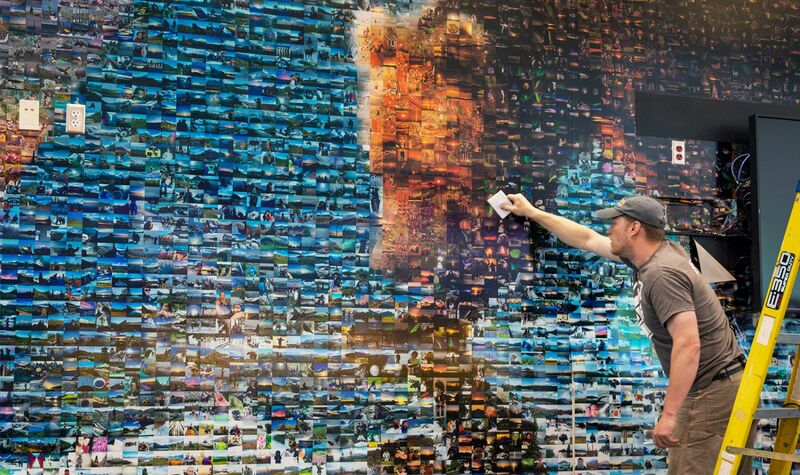 This mosaic combines many perspectives to show our multifaceted awe for this spectacular landscape, its spirited wildlife, and unconquerable peoples. 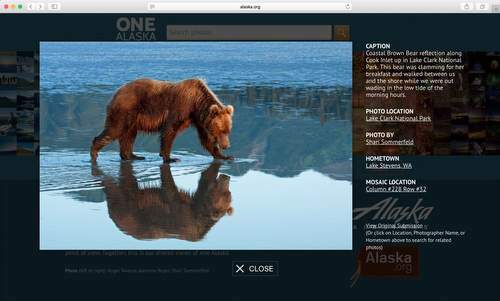 Alaskans, visitors and former residents contributed the 18,328 images for the mosaic in 2015. No picture was used twice. Each represents a unique point of view. 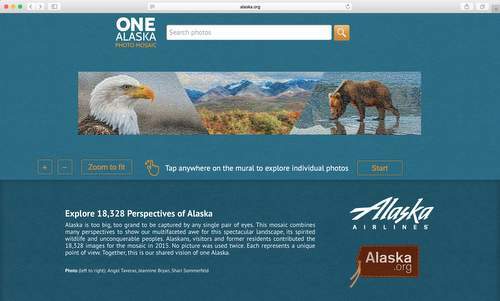 Together, this is our shared vision of one Alaska. 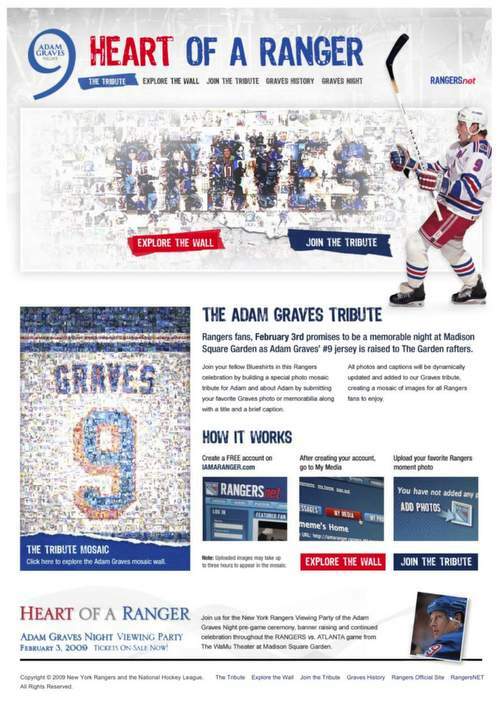 © New York Rangers and the National Hockey League. 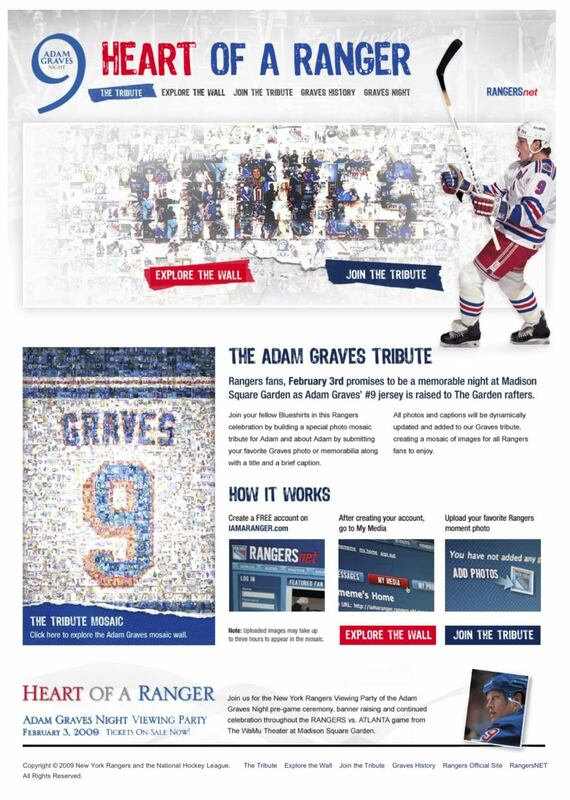 Omnigon.com created a mosaic wall for Adam Graves tribute event at Madison Square Garden. 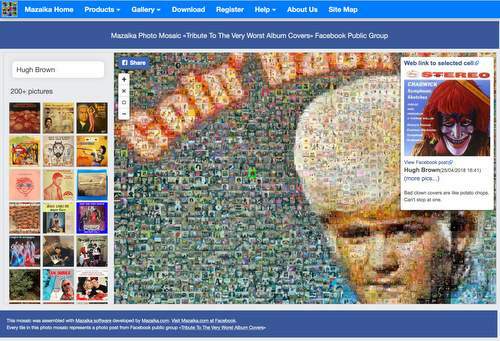 Omnigon.com used Mazaika as the platform for the creation of this online mosaic project. 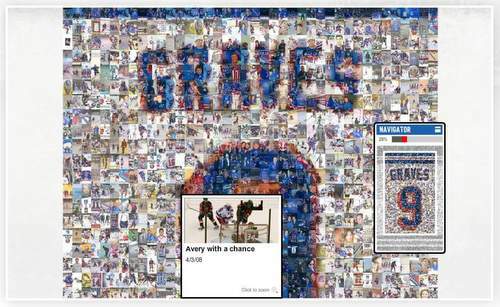 New York Rangers fans submitted their favorite photos that were used for mosaic. Brickfish.com made a mosaic for Clinique Happy Moments campaign. 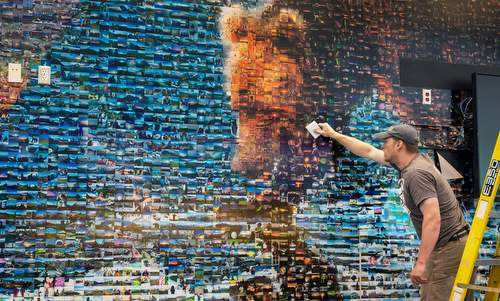 Site visitors have submitted more than 4000 pictures of their happy moments, that were used as library tiles to compose the mosaic.